The first presentation sessions are underway! Here we are at RPM-East in Greensburg, PA. I’m posting this as a demo during my Introduction to Blogging presentation. There is a lively bunch of people here and the model room is filling up with some outstanding displays. Click on any image here to review a larger size. The model room quickly filled with fine work in many scales. Last night I operated on Ken Hanawalt’s Turtle Creek railroad until my legs had decided to call it a night. Several others RPM-East folks were operating on other area model railroads. 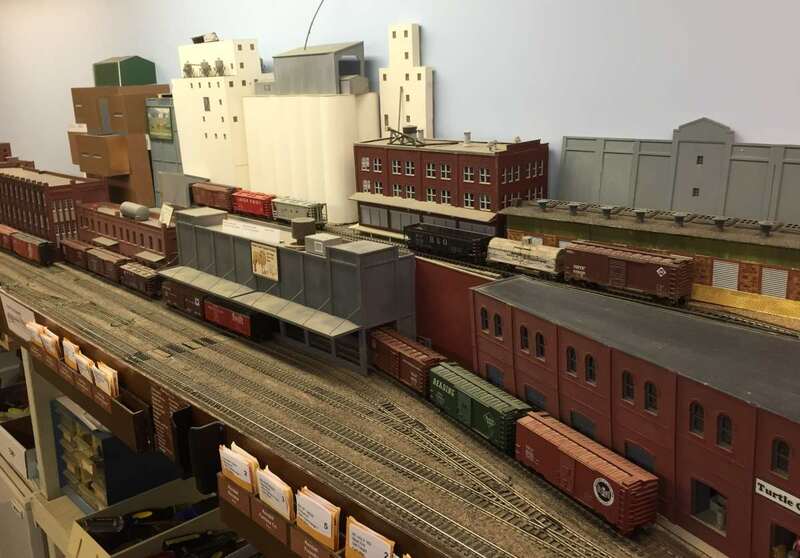 This is one of the many industrial towns served by the Turtle Creek railroad. Friday is coming to a close but there is much more on tap for Saturday. I hope to post additional images soon. 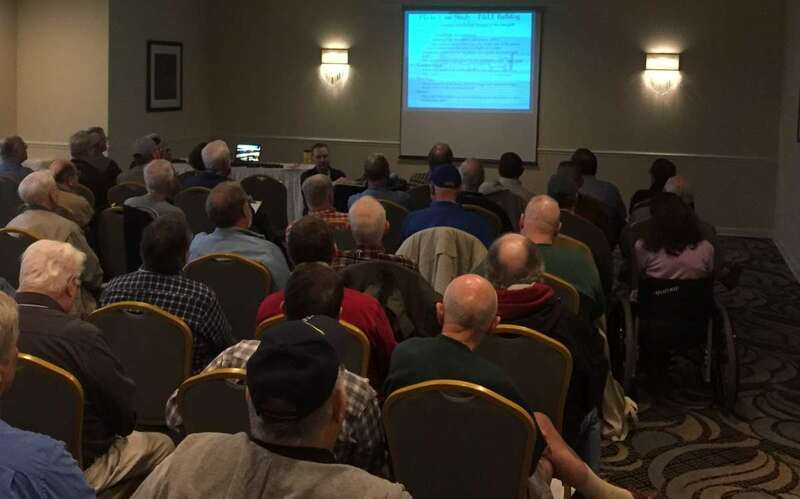 Author Eric HansmannPosted on March 28, 2015 April 14, 2015 Categories RPM meetTags Hobby Event, RPM MeetLeave a comment on At the Proto Meet! Author Eric HansmannPosted on March 11, 2015 Categories RPM meetTags Hobby Event, hobby inspiration, Prototype, RPM Meet2 Comments on Spring RPM season again!